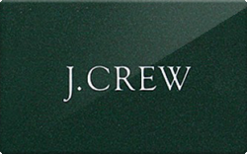 J.Crew or JCrew or Jcrew.com offers an assortment of women's, men's and children's apparel and accessories, including swimwear, outerwear, loungewear, wedding, bags, sweaters, denim, dresses, suiting, jewelry, and shoes. Don't forget, college students and teachers get a 15% off discount. Just show your ID. Never pay full retail price. J.Crew almost always have some sort of sale around the corner.